The Parrish Art Museum received some big news lately: the museum was awarded a $76,000 grant to assist with the presentation of the upcoming exhibition "Andreas Gursky: Nature in Balance." Funded by the New York State Council on the Arts, the grant is supporting the first exhibition in the region by Gursky, whose work has garnered him international fame. Andreas Gursky (German, born 1955), "Engadin I," 1995, Ink-jet print, 207 x 356 x 6.2 cm. © Andreas Gursky, VG BILD-KUNST, Bonn./ ARS, 2015. Courtesy Gagosian Gallery. "Andreas Gursky: Nature in Balance" will be exhibited at the Parrish August 2 through October 18, 2015. The show will focus on some of Gursky's most enigmatic images of landscape, water, and architectural detail, according to the museum. Andreas Gursky creates his monumentally scaled photographs—grand urban and natural landscape vistas and large format architecture—from a dispassionate, omniscient point of view. Highly detailed, Gursky's images are at once dead-pan observational and transcendent. He rigorously composes his expansive views to envelop viewers with dizzying scale, detail, and color—effects he often heightens through digital manipulation of the image. Gursky has been instrumental in defining contemporary German art in the 1990s. The Parrish Art Museum exhibition will make the work of this master photographer available to the East End community for the first time. The Parrish received word in December 2014 that had been awarded the grant from the New York State Council on the Arts (NYSCA) in an announcement by the New York Regional Economic Development Councils (REDC). NYSCA’s Culture & Heritage Project Grants are funded by the REDC as a part of a statewide program that is intended for the presentation of fine arts, to encourage participation in the arts, and to promote tourism by supporting arts and cultural projects. The New York State Regional Economic Development Councils were established in 2011 by Governor Andrew M. Cuomo. 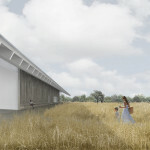 The Parrish Art Museum was one of ten cultural institutions and government agencies on the South Fork of Long Island to receive funding in the Round IV, 2014 REDC grant cycle. Parrish programming are funded, in part, by the New York State Council on the Arts with the support of Governor Andrew M. Cuomo and the New York State Legislature, and property taxpayers from the Southampton School District and the Tuckahoe Common School District. BASIC FACTS: The Parrish Art Museum is located at 279 Montauk Highway Water Mill, NY 11976. For current exhibition information and programming, visit www.parrishart.org.